If you furnace just doesn’t seem to be cutting it lately, it’s time to take pause. 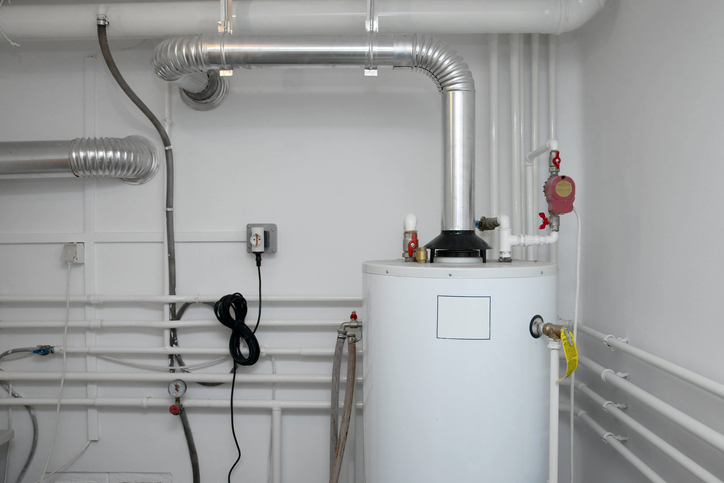 This could be a sign that your furnace flue is corroding and needs to be replaced—particularly if your heating system is older. Your furnace’s exhaust stack, also known as the flue, vents poisonous gases from your furnace up out of your home’s interior. The piping itself is made from galvanized metal, which eventually rusts and wears out over time. So when you start to notice rust forming, it could be a sign that it’s time to replace your furnace flue. Otherwise, you could end up with smoke and dangerous gases in your home—or you could spring leaks from the holes in the vent. In fact, rusted flues are the number one source of leaks in the home. However, be it gases or leaks, a rusted exhaust stack is nothing to take lightly, and generally should be repaired right away. A word of warning, though: replacing a flue is a fairly complicated process that should only be attempted by an experienced handy worker. A mistake here could send toxic gases into your home’s interior, so you don’t want to get it wrong. However, if you feel confident about your repair skills and want to attempt it on your own, here’s how. Rust and leaks are the most obvious sign of repairs, but be aware—not all corrosion is immediately visible from the ground. Because your exhaust stack extends above your roof line, there may be damage that you can’t see. Flues benefit from regular cleaning and inspection from a chimney sweep, who can generally point out problems at this time. However, you can also perform a visual inspection yourself, as long as you feel comfortable climbing up on the roof. Check the length of the vent, paying particularly close attention to the seals around the rain cap—the rounded part on the top of the vent—and the storm collar—a round bulging piece that fits just above the roof. You’re looking for damaged pipes and rust that would justify a total replacement. First, figure out the type of vent you have. Usually, the type will be printed on the pipe itself. There is Type B, used with a wide range of heating appliances, and Type L, suitable for venting natural gas and oil-fired furnaces. You’ll need to know the type so you can purchase the proper equipment. While you’re at it, you’ll also need to acquire a tape measure, pipe crimper, sheet metal screws, tin snips, a cordless drill, high-temperature silicone caulk, and a caulking gun. All of these parts can be purchased at a home improvement store. Before you begin pulling screws out, take a moment to turn off the electricity connection to the furnace as a safety precaution. Unscrew each connection and pull the damaged piece out. Use a soft cloth to gently clean around the edges of the flue. Use a tape measure to get the length of the old piece. Then use your snips to cut a matching length of flue pipe. Crimp one end of the pipe using the pipe crimper to smooth it down. Next, take the length of cut pipe and push it into place so that it lines up with the connections. Push the connections from the existing exhaust pipe over the pipe. Next, take your drill and secure the pipe into place at the connection points using three to four sheet metal screws. Using high-heat silicone caulk, completely seal the joint by squeezing the caulk out in a neat bead and then smoothing it over. This will keep gases from escaping when you run your furnace, so it’s important to completely seal the joint so that no exhaust is let out. Wait until the caulk has dried fully before turning on your furnace again. 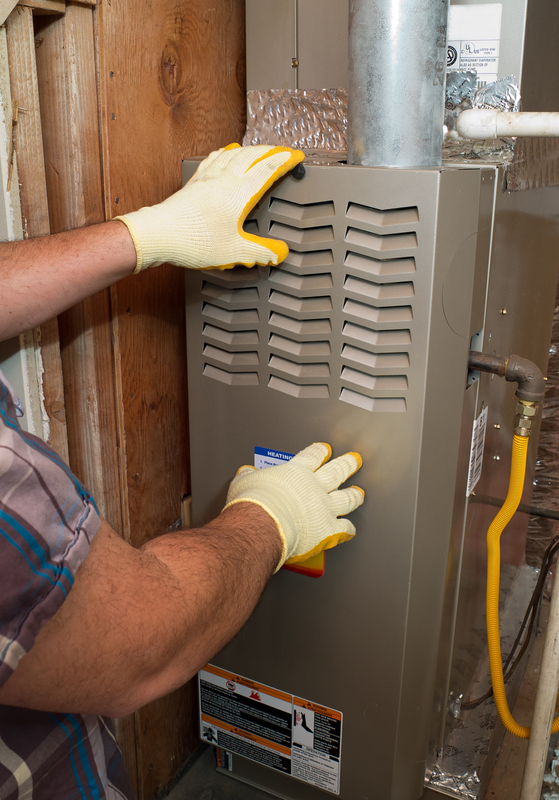 If you notice that your furnace still isn’t working well, or suspect that you may have done something wrong during the installation, have a furnace flue inspector out to look at the parts. In fact, it’s a good idea to have your flues inspected once a year by a chimney sweep—they can also suss out blockages and other problems that can slow down your furnace’s exhaust system. Additionally, if you get in the middle of this project and realize you might have bitten off more than you can chew, don’t hesitate to call an HVAC professional. An experienced repair person can not only make the replacement for you, they can tell if the corrosion has led to other issues, or if there’s anything else going on with your system. All in all, it never hurts to get a professional opinion!